Last week, I made several cards using the same cut. If you made the inlaid card that I posted several days ago, you will already have the orange square cut. If not, I have provided step by step directions below. I cut the flower shape (#2064) that I purchased from the Silhouette on-line store out of the middle of a piece of orange 4.5 x 4.5 inch cardstock. You could use a Cricut flower image or die. 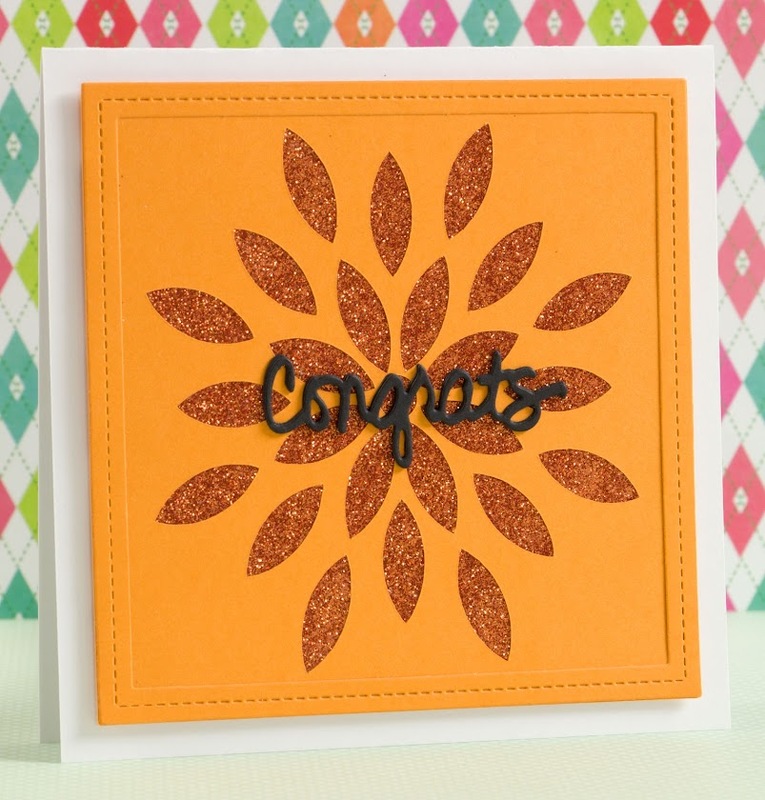 I attached a piece of Scor-Pal Double sided adhesive to the back of the orange square and then added glitter. I removed the remaining backing sheet and attached the orange panel to a white square. I cut the rectangle stitched orange frame using one of my dies and attached to the orange square. I used dimensional tape to attach the orange piece to a 5 x 5 inch white top folded card. 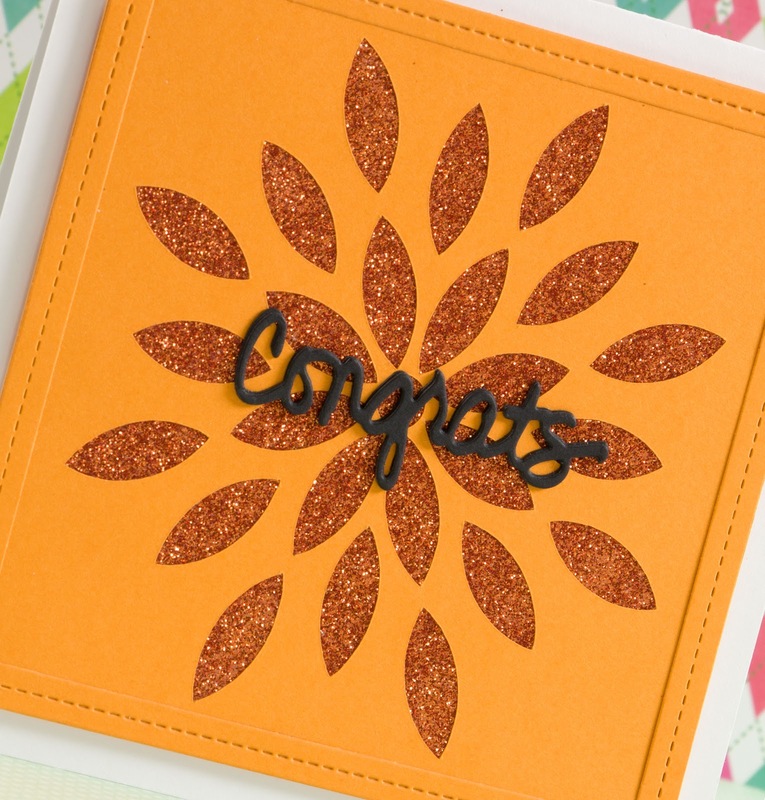 Lastly, I cut the word "Congrats" three times using one of my dies, and glued them together before attaching the sentiment to my card. You could also use your Silhouette or Cricut to cut the sentiment. Thanks for stopping by and have a wonderful Wednesday.